“The circle is sacred,” she told us, “You should never break the circle.” I willed myself to stop fidgeting on my cushion and repress my thirst so I could stay present and focused, lest I disrespect the spirits and ruin the experience for everyone else. I knew not exactly what the “circle” Celinda spoke of was, beyond the general shape we were sitting in, yet from that moment on I strived to respect the circle and understand its significance. For the Lakota people, the circle is a sacred symbol and one that appears in daily life in both natural and crafted forms. It is the “circle of life,” representing every aspect of life coming together as a whole. According to Lakota legend, “As Skan caused the world to be made in fours, so he caused it to be made in rounds. The sun, the moon, the earth, and the sky are round. Everything in nature, save the rock, is round. Therefore, the circle was, for the Sioux, a sacred symbol and could indicate the universe, the sun, time, or direction, depending upon its particular form and color.” (The Sioux, p.256). In a more metaphorical sense, the circle has great symbolic significance: “The circle offers a proper view of life and symbolizes Sioux existence. Life is an endless circle, the Sun and the Moon are circles, and the tipi is a circle. The human life cycle progresses from childhood to adulthood, to elder status, and back to childlike status again, in a circle… A circle has no beginning and no end – it is the Oceti Sakowin, the Sioux.” (Culture and Customs of the Sioux Indians, p.75). This powerful symbolism is encompassed into every aspect of Lakota life, whether it appear in the form of a tipi, a pipe bowl, or a medicine wheel. Symbolism is a key instrument in most religions and cultures. In his book Imagining Religion, Jonathan Z. Smith expands upon the perplexing and intricate nature of the symbol, explaining, “The discovery that two events, symbols, thoughts, or texts, while so utterly separated by time and space that they cannot ‘really’ be connected, seem, nevertheless, to be the same or to be speaking directly to one another raises the possibility of a secret interconnection of things that is the scholar’s most cherished article of faith.” (Smith, p. 53). With the seeming ever presence of circularity in the natural world of the Lakota, this “secret interconnection” must have seemed inevitable, and thus it was adopted as a sacred symbol, manifesting itself in visual and actualized gestures in the spiritual setting. Sweat lodges, for example, take place in tipis – notably round structures – and rituals such as passing around the pipe, sitting in a circle, entering the structure in a clockwise fashion, and spinning in a circle before entering the tipi door are all examples of circularity being incorporated into Lakota spiritual life. 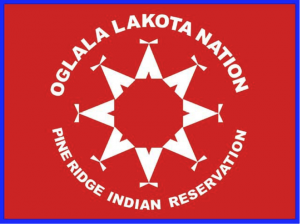 Joseph M. Marshall III of the Lakota tribe explains the depth of this sacred symbol in its affect on every fiber of our being and every grain of the universe: “The greatest principle of the circle symbolizes for me is the equality that applies to all forms of life. In other words, no one form of life is greater or lesser than any other form. We are different from one another certainly, but difference is not defined as ‘greater than’ or ‘less than.’ And we all share a common journey… The Circle of Life” (The Lakota Way, p.225-226). With Celinda’s teachings in mind I entered the sweat lodge, attempting to embrace the sacred power of the circle. On the second night of sweat lodge, when an announcement was made that we would be combining the third and fourth doors and then going outside to smoke the pipe, I found myself perplexed – wouldn’t that constitute as breaking the sacred circle? During the first sweat lodge ceremony I was overwhelmed by the sense of “flow” I felt. Victor Turner’s discusses the importance of “flow” in his article “Ritual, Tribal and Catholic,” emphasizing it as a key factor in rituals. Turner explains that “flow” is a natural state of progression: “we experience it as a unified flowing from one moment to the next, in which we feel in control of our actions, and in which there is little distinction between self and environment, between stimulus and response, or between past, present and future.” (Turner, p.520). “Flow,” he explains, is a “common experience whenever people act with total involvement,” (Turner, p. 520), such as during religious and spiritual experiences. This sensation is one that became quite clear during my first experience in the sweat lodge. I personally, had a very profound experience in that first sweat lodge during my state of flow and even came to some very insightful personal insights during my experience – call them revelations if you will. The second night, however, I was unable to experience a full state of flow because it was cut off early. I felt that my experience was being cut off early, that the circle was being broken and almost disrespected in a sense because the occupants were not given sufficient time to purify themselves and open up in prayer. While Turner does discuss that there can be significance gained from a purposeful “anti-flow,” this setting led me to believe that was not the intention behind their break of the flow. Throughout the course of the trip I couldn’t help noticing many other instances where the circle was broken. In the sweat lodge, I was very conscious not to break the circle after Celinda’s warning. Though I found it very physically challenging the first night, I forced myself to push through it, partly out of personal challenge and partly because of my fear of breaking the circle. Thus I was very surprised when Mike Junior offered us to leave between rounds and even more surprised when he left after the first round one night to go to the Casino. Recounting Celinda’s words, I was left questioning key aspects of what spirituality really means to those involved: Does the circle have a universal meaning or does it mean something different to each person that experiences the dynamic? And, in focusing on what it means to break the circle, can we gain insight into what the circle truly stands for? In the bigger picture, can we use the broader message of the circle as a symbol to apply to life as a whole to figure out whether spirituality itself is relative and adaptable with the change of opinions and evolution of culture? During our trip to Bear Butte we made a stop in the Badlands. Whilst looking out on the breathtaking expanse of canyons, Mike Junior told us of the transition from circle to square. Traditionally, the Lakota people lived in tipis; the tipi held significance as a “constant reminder for the inhabitants that life flowed in a circle and that they were unalterably connected to everything that was a part of it. So both designs were based on practical as well as spiritual needs.” (The Lakota Way, p.224). Mike Junior told us once that day though that when the government made the Lakota people move from their tipis into matchbox houses that a societal transition was made from the circle to the square. The juxtaposition from circle to square can be viewed from various different angles. I’ve come to realize, however, that this transition doesn’t need to be viewed as positive or as negative, but rather just as a shift in culture. Every culture is ever-changing and rituals go through shifts in the process. Smith tells us, “It is here, as they face the gap [between seeming discrepancies of word and action], that any society’s genius and creativity, as well as its ordinary and understandable humanity, is to be located. It is its skill at rationalization, accommodation, and adjustment.” (Smith, p.62-63). As societies must “rationalize, accommodate, and adjust,” thus can be applied to the transition from circle to square. Marshall explains that, even if it seems as though the circle has been broken from a peripheral view, elements of the circle still thrive, just augmenting themselves in different means. His justification is as follows: “We don’t arrange our dwellings in circles any longer. Our villages are now housing projects and our houses are square… Interestingly, I’ve noticed that anytime a group of Lakota gather together, they naturally form a circle. Perhaps there is a grain of genetic memory that compels us to subconsciously reconnect with a part of ourselves that has been trampled… Though the circle is not as common in everyday life as it once was, it is still a prominent part of our ceremonial lives… Fortunately, the circle is a never-ending flow, and more young people from each generation are reconnecting with traditions and values.” (The Lakota Way, p.224). While I am still conflicted as to what exactly constitutes a broken circle, I now realize that I will never know the full extent of what the circle means and how it embodies itself, as its meaning will continue to evolve over time. The embodiment of the circle is ever changing, adapting with the culture and it seems that, even if the circle is often interrupted by change, it may never fully be broken. Gagnon, Gregory O. Culture and Customs of the Sioux Indians. Santa Barbara, CA: Greenwood, 2011. Print. Hassrick, Royal B., Cile M. Bach, and Dorothy Maxwell. The Sioux: Life and Customs of a Warrior Society. Norman, Okla: U of Oklahoma, 1964. Print. Marshall, Joseph M., III. The Lakota Way: Stories and Lessons for Living. New York: Viking Compass, 2001. Print. Smith, Jonathan Z. “Chp 4: The Bare Facts of Ritual.” Imagining Religion: From Babylon to Jonestown. Chicago: U of Chicago, 1982. N. pag. Print.